Mercurial, clever, and always a few steps ahead of his enemies, at times he could be a calculating schemer who would not only manipulate people for the greater good but act like a bumbling fool in order to have others underestimate his true abilities. Some times, this appears simply as a joke, such as in The Tomb of the Cybermen, where he finishes the archaeologists' calculations behind their backs, but in other times, it seems much darker. In The Evil of the Daleks he coldly manipulates Jamie in trying to rescue Victoria (thus setting in motion the human factor tests) and is unsympathetic when Edward Waterfield tries to apologise for his collaboration with the Daleks. But despite the bluster and tendency to panic when events got out of control, the Second Doctor always acted heroically and morally in his desire to help the oppressed. I've just been right through all his stories (audio at least) and it's tragic that more hasn't survived. The Second Doctor set the pattern of being a little less aloof from his companions than his predecessor had been and there were some very strong "families" in the Tardis during his time. A very fine series of stories. Since I was too young to appreciate his incarnation at the time most of my admiration/affection for Troughton has come in retrospect. His regeneration was my first and quite traumatic as I recall. It took my Dad some time to get through to me what had really gone on and for me to accept that Pertwee was STILL the Doctor. 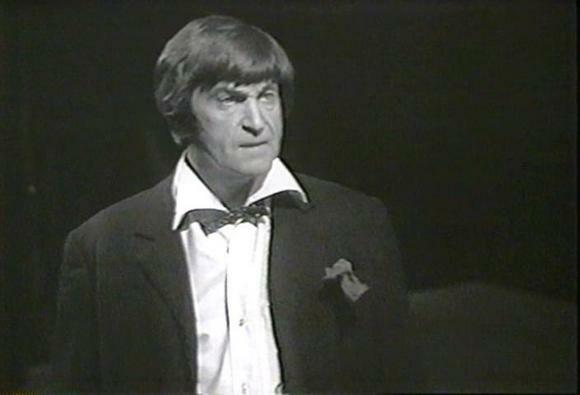 I wish more of Troughton's era survived. So much of his charm and charisma is in his facial expressions and his body language. I wonder if it contributes to the fact that few novels feature the second, as he is harder to write for.